Urszula Augustyn (born September 1, 1964 in Tarnów) is a Polish politician. She was elected to the Sejm on September 25, 2005 getting 4890 votes in 15 Tarnów district, as a candidate from the Civic Platform list. Wow, Peter, you seem fascinated with Polish women!! Two woman possibly saved the lives of 20 passengers when they took the wheel of an out-of-control bus in Gdansk after the driver lost consciousness. “I just grabbed the steering wheel. The first instinct was to help,” said Irena Turbiasz after the bus was veering across the road as it was crossing a bridge in the city on the Baltic coast on Thursday. As CCTV video shows, Irena, a mother of three, was later joined at the wheel by Gabriela Donke-Banach, as panic broke out among passengers. Both ladies do not have driving licences. As the onboard CCTV shows (see below) the driver awoke after a minute, or so, and eventually helped stop the vehicle. Piotr Topolewicz, CEO of the PKS Gdansk bus company, said the driver is “in hospital and in good condition,” although it is not known why he lost consciousness at the wheel. Topolewicz added that the two brave women who took control of the bus will have free travel on the buses in Gdansk. I can't help it with a Polish mother, a half Polish sister, Polish babcia, Polish ciocia's, nieces, and Polish American cousins who are more Polish (in blood) than American. 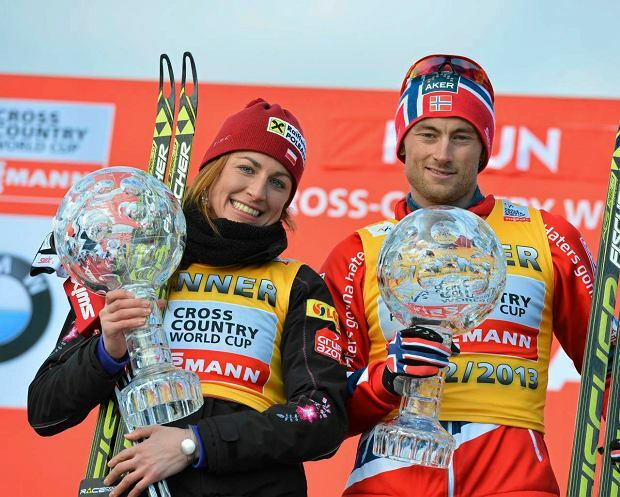 (Both parents were born and raised in Poland and had a career there and moved to the USA after the war. The language at home was Polish) Maybe it is a Polonia and Diaspora illness? ;D I liked the Polish women I saw as a child, teenager, person in his twenties (the Polish women and girls I met abroad) and the Polish women in met In Krakow (2004) and Warsaw (2006). So my lack of negative experiances have given the Polish women an advantage. Those two Polish women are real heroines. "I am against gender parities in business. I saw no discrimination of women in companies I worked for" -says one of the leading Polish managers, chief of PGNiG, state-controlled oil and natural gas company one of the largest firms in Poland. Hillary Clinton meets with Polish female entrepreneurs in 1999 and is photographed next to Ewa Plucinska of EVIP International, a consulting firm. And now think about today, March 2013. Where are these three women now. I couldn't find much info about them. But after 14 years they must have grown. Because Poland today is very different than Poland of Clinton's article in 1999. Then she talked about progress and growth in a country that stil had marks of Communism. And and except some poorer (Belarussian or Ukrainian) looking area's in Eastern-Poland I think Poland today looks, feels and is like a Western country, with new highways, modern shopping centre's, a Western lifestile and mentality. I don't know actually if there is any difference between for instance Poles, Belgians, Czechs, Dutch and Danes for instance. Because all these peoples live in a parlaimentary democracy with a free market economy, and no borders between them. 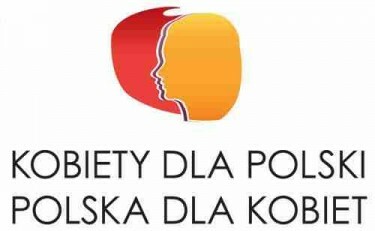 The Polish government has consulted nine different women's organizations regarding its pension reform plans. These would see the retirement age rise incrementally to 67 for both men and women. Members of many of the women's organizations said they would support a longer period in work for women, reported Dziennik Gazeta Prawna. “Retired women simply age faster,” said Lucyna Orłowska from the Democratic Union of Women. But at the same time, women's groups argue that there needs to more opportunities for older women, who they say are currently under-represented in the workforce. “The government has to realize ... that since it proposes an extension of the retirement age, it needs to ensure employment for these people,” said the chairman of the Active Women Association, Halina Sobańska. I already posted news about these women here, but her an article from a Feminist British blog, who commemorates the Polish women who died in the Plane crash. "The tragic plane crash that killed the Polish president Lech Kaczyński and 95 other prominent Polish leaders included several women who defined for many what it meant to be a successful woman in politics. They were leaders for all Poles, whose input into the rebuilding of the nation over the last 20 years cannot be underestimated. They will be missed." WOMEN FOR POLAND, POLAND FOR WOMEN! Some 3000 women and men gathered for two days of debate on women’s issues foremost in Polish women’s minds. Poland’s 2nd Women’s Congress took place in Warsaw last June, two days before the first round of Polish presidential elections. Participants called on the government to introduce greater gender parity in politics, actions in favour of equality between women and men and effective family policies. They sent strong messages on issues ranging from the reform of the education and health systems to reconciling motherhood with professional life and the protection of women from violence. At the close of the first day the assembly endorsed the candidacy of Bronisław Komorowski for President, a choice confirmed in the final election two weeks later. The atmosphere at the Congress was electric and so was the timing: twenty-one years to the month after the political, economical and cultural transformations in Poland. People from every corner of the country representing business, science, NGOs, media, culture, employers, trade unions, politicians, local governments, feminists and artists were on hand for the speeches and discussion. The government had turned over the prestigious Congress Hall of the Palace of Culture and Science for the event and future President Bronislaw Komorowski made an appearance at the event. Two impressive women are responsible for this annual gathering: Henryka Bochniarz, an economist, and Magdalena Sroda, philosopher and feminist author. Ms Bochniarz is President of the Polish Confederation of Private Employers Lewiatan and CEO of the Central and Eastern Europe Region of Boeing Co. A former Minister of Industry and Trade, she was a candidate in the 2005 Presidential Elections. Ms Środa is a professor who teaches ethics at the University of Warsaw. Explaining their choice of theme “Women for Poland, Poland for Women,” both women made a strong case for gender parity in politics before an enthusiastic audience. Henryka Bochniarz, economist, president of the Polish Confederation of Private Employers Lewiatan, CEO of the Central and Eastern Europe Region of Boeing Co and former Minister of Industry and Trade. Magdalena Sroda, philosopher, feminist author and professor in ethics at the University of Warsaw. There is good cause for the enthusiasm to bring about change. Women represent 53% of Polish society but only 40% of them are professionally active. In general, more than 90% of senior positions in Polish companies are held by men. In 2009, women held only 18% of parliament seats. To have a real impact on the decision-making process, they would need to hold 30% of the seats. A petition in favour of gender parity on voting lists gathered over 150,000 signatures on the spot, illustrating Polish women’s readiness to take part in the political life of the country. Other important topics came under discussion at the Congress such as equality for women at the workplace, Poland and the European Union after the economic crisis, abortion and the issue of financing in vitro, along with the themes mentioned previously. Male speakers, all committed to gender equity issues, included Edwin Bendyk, a journalist and publicist, Piotr Pacewicz, Deputy Editor in chief of Gazeta Wyborcza and Ludwik Sobolewski, President of the Warsaw Stock Exchange. (The Management Board of Warsaw Stock Exchange is exemplary in that it is composed of an equal number of men and women.) The 3rd European Congress will be held in Warsaw on 17 and 18 September 2011. The movement for gender equality is gaining momentum in Poland, supported by two dynamic women’s associations: The Women’s Congress Association, created last January to organize the Women’s Congress and the Polish Professional Women’s Network, created in 2007. Both associations promote gender equality and the growth of women in professional, public and politic life with an emphasis on providing women with the knowledge and qualifications essential to their progress. The Professional Women’s Network, much on the order of EPWN, offers networking opportunities, professional development forums, workshops, exchange of best practices and after-work entertainment events. Magdalena Środa (née Magdalena Ciupak, b. January 7, 1957 in Warsaw) is a Polish philosopher, professor of ethics at the University of Warsaw, and a feminist author. She is also a columnist for the "Gazeta Wyborcza". She was government's Plenipotentiary for the Equal Status of Women and Men in the cabinet of Marek Belka between August 16, 2004 and November 4, 2005. In 1980s Magdalena Środa was active in Solidarność movement. After 1989 she would not be involved in politics until 2004, when she was appointed by PM Marek Belka as the government's Plenipotentiary for the Equal Status of Women and Men. She has been advocating the separation of State and Church, Lesbian Gay Bisexual and Transgender (LGBT) rights[/b], and more liberal abortion law. She is also known for her consistently anti-war stance on foreign policy. In December 2004 there was a controversy over Środa's statement during an international conference on honour killings in Stockholm. When asked about the situation in Poland, she told Reuters: "Catholicism does not directly support or oppose violence against women. But there are indirect links through culture which is strongly based on religion". These words were widely quoted in Polish media and sparked a public discussion about violence against women. 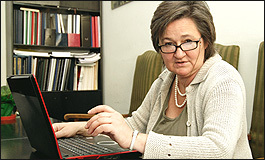 Another controversy blew up in March 2008 when Środa spoke publicly against the idea of protective measures for pregnant women in labour relations. When criticised by parts of feminist movement for neglecting issues of social and economic justice, she responded: "either we do fight for serious treatment on labour markets or for the role of a holy cow because of an inseminated egg". Her academic research is focused on questions of individualism and its different critiques (from postmodern, feminist and communitarian positions) as well as on the ethics and politics of gender relations. Top candidate to the European Parliament in 2009 from the list of red-orange-green coalition of Social Democracy of Poland-Democratic Party – demokraci.pl-Greens 2004 (recommended by Zieloni 2004) in Łódź region. She received 10 798 votes (2,25% of all votes in her region). The Coalition did not pass 5% threshold. On International Women's Day, research reveals three times as many woman are working as CEOs, directors and managers in companies than woman working as nurses. The Polish Confederation of Private Employers 'Lewiatan' estimates that in Poland there are more women who have management positions in companies than their female counterparts who work in nursing or teaching. According to data from the National Court, collected by the Center for Economic Information (COIG), in the last year, over 120,000 woman were brought into businesses. Additionally, the 40 percent of Polish ladies were responsible for registering new companies and 27 percent of woman became board members newly registered businesses. The amount of woman actively involved in Polish businesses is impressive when compared to other countries. In a study conducted by Grant Thornton, among CEOs of large and medium-sized companies worldwide, only in mainland China is the share of women in management proportionately larger than that of woman in Poland. The biography by Stefan Kornelius, Angela Merkel - Chancellor and the world, to be released on Thursday, delves into the family history of Angela Merkel, who is hoping to be re-elected in September when Germans go to the polls. According to the biography, Merkel's father was born Horst Kazmierczak, son of the Pole Ludwig Kazmierczak, who was born in Posen (then in Germany and now Poznan in Poland) in 1896, the illegitimate child of Anne Kazmierczak and Ludwig Wojciechowski. You understand that I stil am not a great fan of Opera and Operetta. I have been to Mozart's die Zauberflotte in Prague and Arnhem though. Later I learned to appreciate the libretto's, music and theatre of the Opera a little bit better. Lea Koenig (1929), Israeli theatre actress of Polish descent, nicknamed The First Lady of Israeli Theatre. Shelly Yachimovich, leader of the Israeli Labour party. Both her parents were Polish jews. Aliza Olmert was born in a displaced persons camp in Eschwege, Germany. Her parents were Holocaust survivors from Łódź. The number of female millionaires in Poland is on the rise, according to statistics released on International Women's Day. At present there are about 50,000 millionaires in Poland, and in several leading banks, including BPH, City Sales and Millennium, between 30 and 35 percent of them are women. However, according to international consultancy firm Deloitte, that figure will reach 120,000 by 2020, when women will make up 40 percent of the millionaires in Poland. Research done by the Millennium Bank, as reviewed by the Dziennik Gazeta Prawna daily, reveals that 28 percent of the firm's female millionaire clients are between the ages of 51 and 60. Some 26 percent of them are over the age of 60, while 5 percent are under the age of 30. In terms of the age that women acquire their wealth, there are no significant differences with men. Millennium Bank has recorded an overall increase of 2 percent in the number female millionaires since three years ago, when the credit crunch cast a cloud over the global financial scene. The bank's study also indicated that male millionaires spend six times more than their female counterparts in restaurants, bars and clubs. However, 29 percent of female millionaires regularly spend money on clothes, shoes and accessories, as opposed to 13.6 percent of men. International Women’s Day, celebrated on 8 March, was mainly celebrated in Soviet-bloc countries up until 1989, with employers giving flowers to their workforce with other items such as stockings. Women had an equal place in the workforce during communism – they were effectively doing two jobs, at home and at work but had formal equality. But with the fall of communism, Polish women were hit the hardest, in many ways, as child-care systems collapsed. The number of women in employment fell sharply, so that the gap between the number of men and women in work is now wider in Poland, for example, than in many EU countries. But the wage gap in Poland between men and women is still the smallest in the EU. Figures in a new study by the European Commission reveal women earn 16.4 percent less on average in the 27-nation bloc. In Poland, the gap is just two percent. EU justice commissioner Viviane Reding, said this week: "The principle of equal pay for equal work is written in the EU Treaties since 1957. It is high time that it is put in practice everywhere." 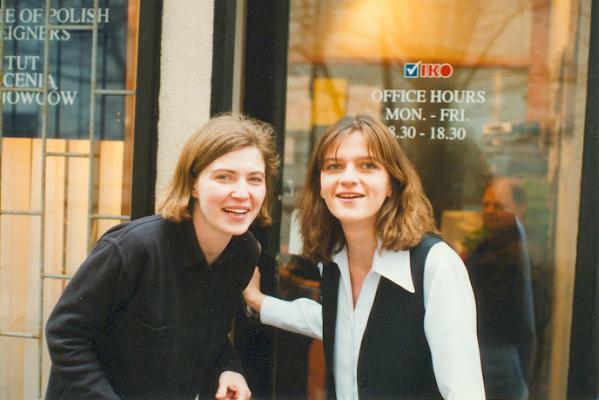 Two young Polish women entrepreneurs pose outside of their newly opened office in Warsaw. Polish women have made great strides in business circles during recent years and are to be found in just about all walks of commerce and industry. At the same time it would be fair to say that most senior positions in Polish industry are taken by men – as would also be the case in Germany or France. Therefore,the conclusion is that although there is no overt gender bias in Poland, the country still has a long way to go to achieve the type of gender equality to be found in countries such as Sweden. As time passes,this situation should improve. Visiting business women should encounter little or no gender bias and will be judged on their professional abilities. Do not be surprised if males Polish business contacts show a degree of ‘chivalry’ towards female colleagues which may have been lost in certain other countries – opening doors for women,helping them to a seat etc. I stil remember the beautiful Polish brunette, young woman, I met under a roof of a tram or bussstop when we were forced to hide for extreme rainfall in the Warsaw of August 2006. She looked like a Danish friend of mine from Copenhagen, a very beautiful Danish brunette, with brown eyes. The Polish brunette in Warsaw was very pretty too, she worked in London and Paris, and was in Warsaw to see her Polish family who lived outside Warsaw, and who would pick her up there. She just came from the airport and was waiting for them. She was the perfect example of the Modern, young, Polish corporate woman, perfect in English, elegant, charming, cultured, pragmatic, a woman of the world. It was a nice brief encounter. It showed me how cosmopolitan, international and modern Warsaw was back then. In fact Warsaw looked more Modern and sophisticated than that other Central-European capital I had visited the summer before, Berlin. Berlin was exiting, but more shabby, less finished (in construction, in infrastructure and in connecting East- and West-Berlin) and less Modern than Warsaw. Next to that wonderful brunette, whom I only spend a quarter of an hour with on a Warsaw street, talking with her, next to the Central station and near the Palace of Culture, I met the daughter of the nice lady (an old family friend of my mothers family and my mother -herself-) who was my host in Warsaw. The daughter worked for an international management consulting firm in the city centre of Warsaw. I knew her from 1984 when she was a little girl and I was 14, when we visited Warsaw. She took me to a typical, old, wooden, real, Polish restaurant (not touristic), where we had a lunch. And she told me about the life of Modern Polish women and girls. That there were (are) modern Polish women and girl magazines, programs for women on Polish television, that Polish women are emancipated, that they are equal, that many Polish girls and young women study, that they are politicians, businesswomen, bankers, accountants (like she was/is) and etc. During that lunch and talking with her at her mothers home, where I could stay during the week, I learned a lot about Modern Poland, and in the same time about the life of Polish women there. Ofcourse like in many big cities Polish women faced the same challanges and insecurities women from other cities faced. Like safety concerns, that crime exists and the fact that prostitution and call girl activities were visible everywhere, via flyers, posters and cards everywhere on the streets and boulevards. Mind you that this was a very old fashionate, conservative, Patriotic, Roman-Catholic (very religious) family. The women I stayed with was very sophisticated, educated and was concerned about the 'wrong' aspects of the West that came to Poland. I came from a country which was Sodom and Gomorrah in her christian, Roman-Catholic and Polish patriotic eyes. The country of Cannabis, the Red light district of Amsterdam, Gay marriage and Gay Parades (Gay and lesbian politicians, mayors and press), Euthenasia and abortion. She talked about the bad things about Western-Europe or the West, but I heard "the Netherlands" everytime she said "the West". I avoided political discussions, avoided speaking about Germans, Russians and jews. Because it seemed to me she wasn't to fond of these three groups, to put it mildly. I stayed for a week in a household which was very Roman-Catholic, conservative Polish, and it was interesting for me. These were PiS voting people, people with a real PiS ideology. But not primitive people like some Western press and Polish press wants to make of Polish PiS voters and PiS. (I remember that my Polish mother detested the twins; the president and prime-minister or party leader, because in her eyes they were primitive and damaging to the image of Poland in the world, in a diplomatic, foreign affairs, and social-cultural point of view -but that is history now-) I had ideas about the roots of her conservative, traditional stance. I think maybe the family were Narodowa Demokracja, "Endecja" and thus Roman Dmowski supporters. That doesn't matter, they were good people and decent people with slightly different opinions than my own. I enjoyed her hospitality and am very greatful to her that she showed me the street in Mokotow next to the notorious Mokotow prison, where my grandparents, mother and American aunt (the older sister of my mother) had lived during the thirtees and fourtees. She also took me to the Warsaw Uprising Museum, drove me with her car to the Łazienki palace, which I loved due to the wonderful baroque architecture, paintings, interior design and beautiful park where I met art academy students of the Krakow art academy who were drawing there. For me it was a romantic and sentimental moment, because it took me back to my first visit of the Łazienki palace in 1984. Most days I was walking through Warsaw on my own and I liked my privacy and to have the chance to see a lot of Warsaw. I liked the Chopin museum (bough exellent chopian audio cd's there), I liked the National Museum (with it's old Polish gothic, Renaissance, baroque and 19th century Romantic and symbolic art), the war or army museum, the Modern art museum and the art galleries, and to be on top of the palace of culture to have a panoramic view over Warsaw. I liked the modern sky skrapers around the palace of culture and the modern buildings and I guess financial district or commercial district behind it. I liked the fact the see an extreme modern, clean, capitalist, Western, sophisticated, modern design and architecture, modern technology centre, which overshadowed the Stalinist symbolism and communist classism of Palace of Culture and Science, and few of the ugly old "socialist style" building blocks in the environment. The merger of a few pre war or rebuilt elements with the communist architecture and the Western, Polish, Post-communist modern or Post-Modern architecture gave that area it's grandeur and dynamism. I also like the fact that I saw the Modern life there on the boulevards with pedestrians walking in new fashion clothes, the bankers, employee's, yuppies, businesswomen, stewardesses, models, city folk that wondered around there. And the new cars, vans, busses, motorbikes, scooters and trucks. A metamorphose, the same city, but completely different from the Warsaw I knew as a 14 year old boy in 1984. Seeing that was a greet victory, it was a liberation from the fact that we were seperated from our Polish family in 1984, and the contrast we saw back then between the Netherlands and Poland. That contrast in my opinion is gone. I saw no difference between let's say Rotterdam/The Hague and Warsaw ( I don't compare Warsaw to Amsterdam, because Warsaw has a modern city centre and Amsterdam doesn't) (except that Warsaw is larger than all the Dutch cities, and has larger shopping malls and more sky skrapers ), no difference between Krakow and Amsterdam, no difference between Poznań and Utrecht. Back to the Polish women and girls. I liked as a 17 year old boy the Polish girls in the discotheque in Poznań, and the Polish girls and wonen I saw on the street of that fine Polish city (I will always be fond of Poznań, the Poznań of my memories and the modern Poznań -for which I could use the same words as for modern Warsaw- due to the images I saw from Bonobo's exellent photo sequences or photographic report). I liked the Polish women I saw in Warsaw in 2006 and I liked the Polish girls/women I sw in Krakow in 2004 (I danced with a few of them in a New Wave like, retro bar/discotheque -with images of old cars and things from the Peoples republic: a ironical communist cult with irony-, some of them were Goth girls dressed in black with black make up like ghosts, others were just beautiful brunettes, blondes or occasional redheads) Krakow for me the city of Romantic melancholia and nostaligia. I saw romantic couples of Polish boys and girls everywhere in Planty and along the river banks of the Wisła. I liked the visible and invisible presence there of the cultural intelligentsia. As a visitor you feel that Krakow is a city with a lot of historical layers, but also the layers of the pluriformity and diversity of today, due to the presence of the business district, reasearch centres in the periphery of the city, the scientific world due to the large university there, the art academy, and the fact that a lot of Polish writers, poets, journalists, philosophers, sociologists, artists (painters, sculpturists, graphical artists and other artists), theatre producers and actors/actresses, university students (126 thousand of the 800 thousand citizens of Krakow), professors, horeca people (Krakow has exellent hotels, restaurants, bars and nightclubs, and last but not least jazz pubs -basement music theatres with bars-), and probably a production, trade or commercial district. I know very little about Krakow. Having only been there one week in April 2004 doesn't make me exactly and expert Bonobo. i'm pressed for time but read your nice memory-flashback to Wasaw, too! Gra¿yna Piotrowska-Oliwa was the director of Polish Oil and Gas Company for a year.